My journey into real estate began when I moved to Southern California in 1993. I built my business on taking care of my friends and their friends and family. Because of my involvement in schools, church, and the community - I developed a business built solely on referrals. Because your family matters most, it has always been important to me to focus on your needs... and listening to what is important to you. I found that providing clients "first class" service on my airline, referrals continued to come in. I turned my business over to a fellow agent in Southern California when we moved to Huntsville, Alabama in November, 2000 - due to my husband's job transfer. In Huntsville, I started all over again - learning a new market - but employing the same techniques of providing great service and caring about my clients. The last six months of doing business in Alabama was strictly by referral. In 2003, my husband's job moved us to the Northern Virginia area.I truly know what it is like to start this business three times over!Havingalmost 20years of real estate experience, in three diverse markets, has enabled me to understand how real estate is constantly changing from coast to coast. 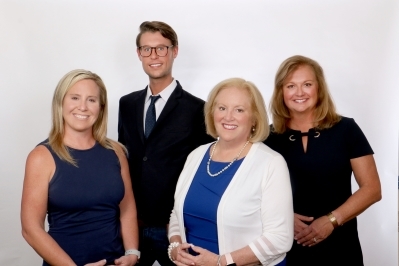 I have now created a TEAM with the same vision and goals from when I started in 1993- taking care of clients and exceeding their expectations throughout the real estate process. While we are located out of the Gainesville office in Prince William County, because we work by referral, we help serve clients all over the Northern Virginia area. Our philosophy is simple... take care of the client every step of the way, exceed their expectations, and find ways to make the home buying and home selling process smooth and stress free. In so doing, we hope to continue to build a sound referral based business. When you become one of our clients, you are a client for life. Because here at The Eisenhard Group - we are never too busy for you and your referrals! Please visit us at www.TheEisenhardGroup.com for more information. Gorgeous Single Family home in the Kendrick section of Piedmont. Over 6700 finished square feet on three levels. Two story foyer with grand staircase. Formal living & dining rooms offer ease of entertaining. Spacious family room with fireplace and floor to ceiling windows. Home office located off family room. Gourmet eat-in kitchen with center island and upgraded appliances and cabinetry. Laundry room off kitchen offers lots of space to make this chore more enjoyable! Door off main level leads out to outdoor oasis which includes in ground swimming pool and patio! Upper level boasts four bedrooms including luxurious master suite with sitting room, fireplace, two walk in closets and private bathroom. Princess suite on upper level with walk in closet and private access to full bathroom. Two additional bedrooms each with their own walk in closet share a bathroom. Basement level is ideal for large parties with media/theater room and wet bar! Secondary laundry room, potential 5th bedroom, and full bathroom make this a perfect spot for guests to stay! Exercise room in basement with additional storage room. There is absolutely nothing to do but move in! Located in amenity filled Piedmont, this house is going to make you want to call it HOME for years to come. "Mary Beth Eisenhard took excellent care of us in buying our new home and selling our old home. Living in the same house for 38 years made buying and selling our home seem daunting. Mary Beth took care of it all- from the moving company to repairs to settlement. She truly cared about us, as did the rest of her team. Absolutely at 10+ experience that exceeded our expectations." - Bought & sold 2016"
"There are a few times in your life when you come across wonderful people that touch not only your heart, but also your life. I want to thank each and every one of the Eisenhard Group for going above and beyond to make my (and my kids) dreams come true. You went above and beyond all of my expectations you kept me grounded and you kept me motivated. I know that I now have new friends for life in each of you. You are the best and I'm thrilled and blessed that I was able to work with you all. Thank you again! - Bought & Sold 2015"
"If anyone ever needs to deal with a professional real estate person, you need The Eisenhard Group. They are by far the most professional people in the industry. They see and fight for what you need in a home. - Bought & Sold 2015/2016"